TGx:Details for torrent "[ FreeCourseWeb ] Udemy - eCommerce Empire Shopify, Dropshipping, Amazon and more"
Torrent details for "[ FreeCourseWeb ] Udemy - eCommerce Empire Shopify, Dropshipping, Amazon and more"
This course is created for beginners who are looking to either get started with eCommerce or improve their existing eCommerce businesses. There are no prerequisites needed for this course. You don’t need to have prior coding, design, or technical expertise. 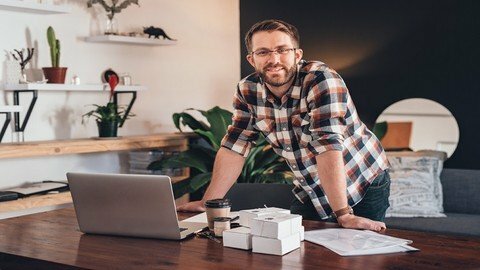 This course starts with the basics of eCommerce, Dropshipping, Shopify, WooCommerce, Alibaba, Amazon, eBay and lead generation and casually touches on advanced methods. If you’re looking to make money online, or even if you just want to increase the profits of your existing business; creating an eCommerce store is an excellent strategy. Scratch that: this is 100% the best way to make money online and that goes for hobbyists, entrepreneurs, bloggers and small businesses alike.Bold claim? Sure is! But read on to find out why we can be confident in making it.So just what is eCommerce? Of course the term refers to online commerce: i.e. selling products online. So what is it that has led to such growth in eCommerce? Well, the simple fact of the matter is that online sales benefit everyone. The only reason online sales haven’t already dwarfed physical sales is probably the fact that some people still don’t trust shopping online or aren’t sure how to go about it. Over time this concern will be eroded more and more – while tools like PayPal will make it easier and safer than ever before.When you sell products online, it means that you don’t have to employ staff and you don’t have to rent the same amount of physical space. You’ll need somewhere to store your products (unless you’re drop shipping) but other than that, your only costs will be hosting, shipping and web design.Lower overheads mean more profit for you but they also mean lower prices for customers. Customers now have the ability to order products online conveniently but on top of that, they’ll be getting them for a much lower price. The last two examples explain why businesses should launch their own eCommerce stores and why you might consider launching an eCommerce store as your business. But you should also sit up and take notice if you run a blog or website already and you’re just looking for a way to monetize it.Why? Because it’s actually one of the most effective methods there is of making money from a website.Until now, you likely have been relying on one of several methods to make money online. Perhaps you’re making ads from advertising on your website (Google AdSense for example) or maybe you’re making money by selling an affiliate product. Anyone who is interested in learning an effective way to start earning money online through eCommerce.